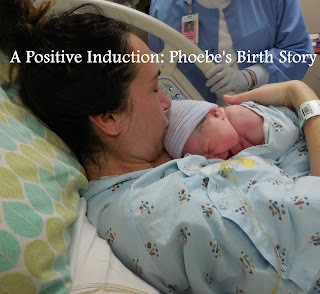 I am so happy to share Phoebe’s birth story with the world. Before my induction, I was searching the internet for positive stories that matched the medical procedures my doctor was preparing for me. On the forum boards, blog posts, and Pinterest pins, I did not find what I was searching for. Most of the induction stories were negative. Most of the birth stories had terrible twists even though they started out positive. So here it is…the story of how I became a mother and how I met the beautiful Phoebe. At 7:30pm on Friday, September 25, we were admitted to the hospital so I could be induced. My doctor wanted to induce me for several reasons, one of which was that it was a day before my due date and my cervix hadn’t changed for two weeks. I didn’t want to deliver late, and his contract with Via Christi was up on October 1. I didn’t want to risk not having my doctor present. On top of that, I was getting very anxious about when I would go into labor. It was keeping me up at night – I needed a date besides my due date to focus on so I could feel like a sane person. My doctor opted to do a drug-free induction (no Cervadil) and used a Foley bulb catheter instead. I got to the hospital and they weighed me (149lbs! The most my entire life! ), and we checked into our room. They handed me the hospital gown and told me to change, set my stuff down, get comfortable. I was hooked up to monitors and was surprised to see that I was having contractions that were totally painless. The nurse and resident showed me the Foley bulb, which looked like a little clear straw. They inserted it with very little discomfort and inflated the bulb part with water (which I couldn’t feel) and told me they’d check me every hour to see if the bulb was dilating me more. The resident said that the bulb should fall out on its own when I was dilated 4-5cm. I dozed in and out, Cody did homework on the couch beside by bed. Yes, I am wearing a Breathe Right strip. I wear one every night! The nurse checked me every hour until around 3am, when she seemed disappointed that the bulb had not fallen out on its own yet. She called the resident to see when they should start Pitocin if I had not dilated. He said he would come check me because he was surprised the bulb was still in place. The resident arrived and began to check me and laughed – the Foley bulb had evidently fallen out hours ago and was just sitting in my vaginal canal. He pulled it out, started Pitocin, and the real fun (contractions) began. At this point I had seen two different nurses and 7am brought a new nurse again. She monitored my contractions and asked me how the pain was. I was dilated to 4-5cm at this point and didn’t have a lot of pain. I really didn’t feel like the contractions, which were coming regularly, were that horrible. I remember saying, “This is really not that bad. I don’t know why women get so whiny about this.” My nurse laughed. They checked me again in an hour or so, I was dilated to a “5-6ish,” baby was at a +2 position, but I was still just 70% effaced. A new resident made his appearance. I will never forget his face. Something about labor makes you remember people very vividly. He and my last nurse are forever emblazoned on my brain! He, too, asked how the pain was and I told him that his checking me was actually more painful than the contractions. “Well sorry about that,” he said. “You may be a candidate for natural birth.” Such a motivating comment. It propelled me through what was to come. They upped the Pitocin to an 18 (I believe it can go up to a 40, but I never needed more than an18). By this point, my parents had arrived and were very encouraging. We chatted, my dad and Cody went to get breakfast in the cafeteria, my mom and I held hands and wondered at my mego-prego belly and the baby we were about to meet. The nurse came in and offered me some options for laboring – I could hop on the exercise ball, use a peanut, go walk around. I didn’t feel like I wanted to move around a lot though and told her that I was actually very comfortable in bed and preferred to labor on my back. I used the bed rails as stress relievers and held on to them and shook them like crazy when big contractions hit. 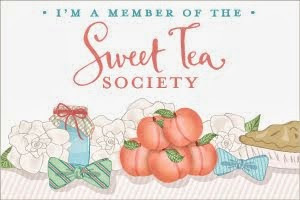 Opting to stay on my back was just the opposite of what I had read and what I thought I would do, but the idea of standing up seemed very intimidating, and I knew I would miss my bed rails. I got a new nurse, Brandi, at 11am. Her blue eyes, just like the resident’s face, will never leave my memory. She was wonderful. Shortly after Brandi arrived, the resident called my doctor and told him about my progress. My doctor advised him to go ahead and break my water. I read about “Labor Land” in a few of my childbirth books – it’s the place where you lose yourself. You don’t remember who you are and all you can focus on is what you feel. You become a primal creature that is only in tune with the contractions and the pain and you forget everything else. The resident checked me again between contractions and I was dilated to a 7, baby’s head was engaged and in place, and I was finally effacing more. At this point, the bed rails got a real workout. During every contraction I grabbed them and shook and made a noise I had never heard before. Nurse Brandi and Cody coached me through each contraction as he saw them on the monitor, telling me when they were coming and when they were building and when I was riding through the worst of them and when they were subsiding and when they were over. This pattern of Cody helping me through each contraction was helped as well by this thought in my head: “A person can stand anything for ten seconds.” I counted to ten during each contraction, and the contractions lasted longer than ten seconds each, so I restarted my count as necessary. I also used a focal point technique. I found this star-shaped piece of machinery in the far corner of the room and breathed through while counting staring just at that. It helped, and I don’t know why. At some point, Cody and Brandi looked at each other while watching the monitor and both had concerned looks on their faces. At first I was worried for the baby, as she was being monitored on the same screen. It soon became clear that it was me they were concerned for, not Miss Phoebe. “Jillian your contractions are doubling up, we’re going to help you through these next few,” Brandi said. Cody’s face and mannerisms changed. I could tell he was very worried. My contractions were building and building and would drop a little, but I was no longer getting the 30 – 90 second break between them. Contractions dropped and immediately built back up, which meant I did not get the mental or physical break I needed and I started to wear down. The noises I made were entirely different than before. The pain level was intensified and I remembered that I had the option of a pain medicine in my IV that would give me an hour break. One hour was all I made it. That hour was blurry, dark, unreal…I really can’t remember much except bed-rail shaking and the panicked look in Cody’s face. I don’t recall the moment when I knew I needed the epidural. I just remember begging for pain killers, asking Brandi and Cody to help me. Cody said afterward that he was relieved when I asked for the epidural so I could become myself again. In hindsight, I don’t think I could have effectively pushed or followed the doctors’ instructions without pain relief. An anesthesiologist came in to administer the epidural when another double contraction hit. I grabbed his arm in pain. I will never forget Brandi looking me dead in the eye, six inches away from my face saying, “If you move, you will be paralyzed.” Oh great, a double contraction, a needle in my spine, and I can’t move. Cody held my hand, a change from my normal bed-rail shaking that threw off my rhythm but got me through the contraction. Finally the pain medicine was placed, but I didn’t get immediate relief. About 15 minutes later, my left side was totally numb. The contractions showed on the monitor (still doubled) and I could no longer feel them. My right side was sorta numb, I could move my foot and wiggle around. Brandi asked if I wanted another dose of medicine to even out the numbness. I opted not to because it was reassuring to have some kind of movement. I was so relieved – I got the break I needed both mentally and physically. The resident came in and checked me again, and to my surprise (and his as well), I was “totally ready to go,” and pushing should start in 45 minutes or less. He called my doctor. I stared at Cody, in awe of how fast everything had gone. It was around 2:45pm. Brandi said she was only scheduled to work until 3pm and asked if I would like her to stay through delivery. I said yes, and she called her charge nurse to inform them she was staying. I was very grateful for her. The resident, Brandi, and Cody helped me through “practice pushes.” Just FYI, “practice pushes” don’t really exist and this was the real deal. I think they say “practice” to make laboring women not as anxious. They had me take a big cleansing breath, watched the contraction on the monitor, exhale, take a deep breath, hold and push for 8 counts. We did probably four or five of those and Brandi’s eyes got real big. “Well we should probably stop,” said the resident. “Yeah, I was wondering when you were going to tell her to stop,” said Brandi. “If I deliver this baby I’m gonna be in trouble. Let’s see how far away Dr. Whiddon is,” said the resident. “Holy crap,” said Cody’s face. I relaxed in between contractions and mentally prepared to meet her. At this time Dr. Whiddon hilariously made a Mohawk with Phoebe’s chocolate brown hair and I thought, oh wow I’m so close to meeting her. “Let’s do a few more practice pushes with these contractions, here comes a big one,” Dr. Whiddon had Cody hold my right leg and Brandi hold my left. Two more nurses joined us in the room. I pushed, gritting my teeth (yes I wore my TMJD appliance and my Breathe Right strip to help me through this! ), and clenching my jaw (not fun for my TMJD but I had to do it to push correctly). I can’t recall exactly how many times I pushed, but I felt no pain. No ring of fire, just slight pressure. I had no urge to push, I just followed the advice of the voices in the room and focused on a mental image of my body opening and her emerging. I felt more pressure, then gave one more push and felt her limbs emerge. She was immediately given to me. The tears started and didn’t stop. Cody was silent, staring at the two of us with shock or joy or wonder or whatever emotion comes when you witness a miracle. I had my prize in my arms…my perfect, healthy baby girl. All 8lbs 8oz of her. She was beautiful – she looked exactly like her father except for my dark hair. I was amazed at my own strength and happy with her birth. It was a perfect introduction to the world for my amazing Phoebe. Born 9/26/2015, 3:48pm, 8lbs 8oz, 20.5” long. Happy, healthy, and with a head full of chocolate brown hair. She and I are inseparable and I’m so thankful for the joy of motherhood and our wonderful newborn baby girl.